Fine art, Illustration, graphic design and the art philanthropy of Sam Morrison: Caution!!!! 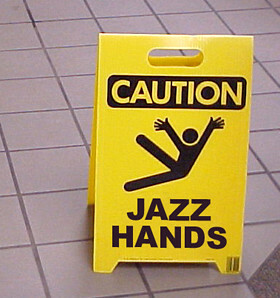 Originally this was a WET FLOOR sign I saw at my local bank. I noticed the icon seemed a little too celebratory... definitely a candidate for some Photoshop action.